The German company, leader in the management of business processes, has drastically reduced the development time of its successful BIC Cloud platform. For this, the collaboration of highly qualified external personnel provided by Imatia has been indispensable, which has been incorporated into their work teams during the duration of the project, contributing their experience and training in the development of BPM solutions and in technologies such as Angular or Java. The success of this project has led the two companies to establish a strategic alliance, based on collaboration in the development of innovative solutions and their subsequent commercialization in Spain. “We have found in Imatia an ideal ally to improve our BPM solutions. Being able to count on always having the developers we need and who are also specialized in the technologies with which we work has allowed us to carry out our projects with the speed and quality demanded by the market, while remaining competitive”. 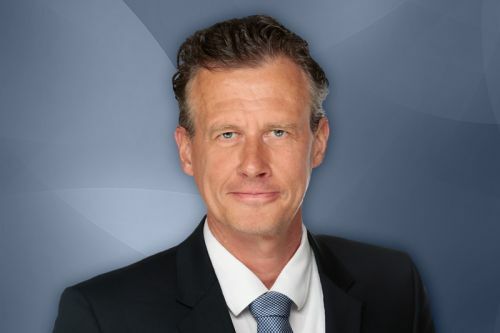 Gregor Greinke, CEO of GBTEC. GBTEC leads the German BPM solutions market thanks to its BIC Cloud platform, which groups together several products for the management of business processes: modelling, document management, control, publication, automation, and measurement. All this from any browser or mobile device, in the cloud (SaaS) or local (On-premises), that complies with all standards, and is a Single Page Application that implements Responsive Web Design. In 2016, the demand for BPM products around the world continued to grow and customers demanded new features. GBTEC needed to hire and train more highly qualified developers, which were scarce due to the low unemployment rate in Germany (around 4% at the time) and the high demand for this type of professionals in recent years. The strategy of the company at that time laid the foundations on which it began its process of internationalization. Something that was favoured by the forecasts that the business would double in the next five years. However, the managers of the company were aware that they were losing business opportunities because they did not reach the market quickly enough, so they needed to incorporate highly qualified personnel as soon as possible and at the same time continue to remain competitive. That same year, GBTEC contacted Imatia to request its services. They explained their needs during a meeting in Germany and Imatia selected among its developers those who had the appropriate training and experience to join GBTEC teams for the duration of the project. The people chosen were highly qualified programmers, with experience in certain technologies that GBTEC used to develop their solutions such as Angular, Java, Docker, and microservices. They were also skilled in the area of process management, since one of Imatia’s most important platforms is a BPM for public administrations: Cividas. In addition, this team had the advantage of being coordinated from the start, as they had experience working together on similar projects to the one at GBTEC. The management remained in the hands of GBTEC, who defined the technology, standards, and working methods. For its part, Imatia was responsible for the professionalism of the people who contributed to the project, their qualifications and their compliance with good practices. The team went to the GBTEC offices during the start of the project and then used agile development methodology and SCRUM to follow up, with daily videoconference sessions and face-to-face meetings when necessary, both in Germany and in the offices of Imatia in Spain. 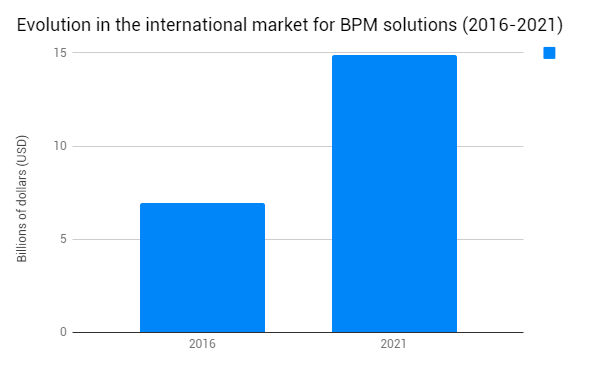 Five quarters later, GBTEC has managed to develop new functionalities for its BPM platform, has greatly reduced its time to market, and now are able to respond more quickly to market demands. The success of this formula has not only led them to continue their relationship with Imatia to this day, but they have increased their demand for developers that participate in their projects in addition to closing an agreement as strategic partners for the commercialization of the BIC Cloud Suite in the Spanish-speaking market. What began in 2016 as mere collaboration has resulted in long-term strategic cooperation thanks to good communication between the teams and the synergies of both companies. In addition, they have achieved this without losing competitiveness with a team that adapts its size continuously to GBTEC’s needs. They always have the necessary technicians at the right time, with the necessary technological training and the necessary professional development, which minimizes the costs and issues that arise from rotation of personnel. GBTEC Software Consulting AG is a specialist in business process management (BPM) and information technologies. They combine consulting and software development with great success as in the case of BIC Cloud, the leading solution in the German market for BPM, with a growing international presence. Its customers include large companies such as Airbus, Vodafone, Nokia, Daimler, Mitsubishi, Porsche, and Rolls-Royce; and public administrations such as the German government.